Former TV personality Nonhle Thema has reflected on her meteoric rise and fall in the entertainment industry‚ claiming that it didn't help that she believed fame was her calling in life. You remember when Thema was the centre of the entertainment industry and the talk of the town? Speaking on Afternoon Express this week‚ Thema reflected on that time and admitted that she allowed the fame to get to her head. "I was always trying to find my purpose. I was always seeking for it. I thought that the Nonhle that I had become‚ the fame and everything was the purpose but it actually wasn't. I started getting in a space where I was self-indulging. It was all about me‚ and that isn't anybody's purpose. Our purpose‚ now I have learnt‚ is to serve." Thema said she was grateful for all the challenges she had faced and the boundaries she broke‚ but said that in her dark days she felt like the devil was trying to get her. She disappeared from the limelight after several high-profile breakdowns‚ before she announced her retirement from the industry two years ago. But after a stint in real estate school and other hustles‚ the star has returned to our screens to punt her next project. This time she is giving talent training a shot and has opened her own academy for aspiring entertainers. 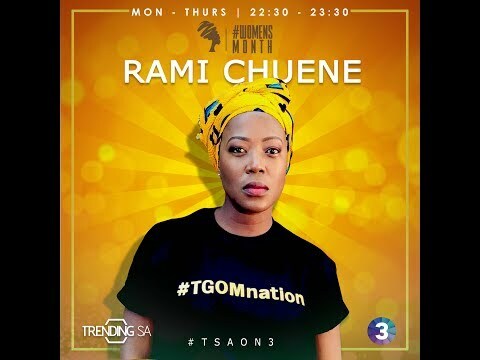 Late last month Thema appeared on SABC3 late-night talk show Trending SA as a guest presenter where she threw more shade than a forest. She has also given up alcohol as she turns over a new leaf. "In the entertainment industry‚ you are surrounded by alcohol and it is hard to say no. It is seen as cool to drink and get drunk. I tell people that you don't need alcohol to have a good time‚ it is a trap. Mandela didn't go to jail for 27 years for us to be drunkards‚" she told TshisaLIVE earlier this year.